It’s hard to describe just how much my soul loves this boho loft with its wide open spaces, assertive patterns, and deep pops of color. 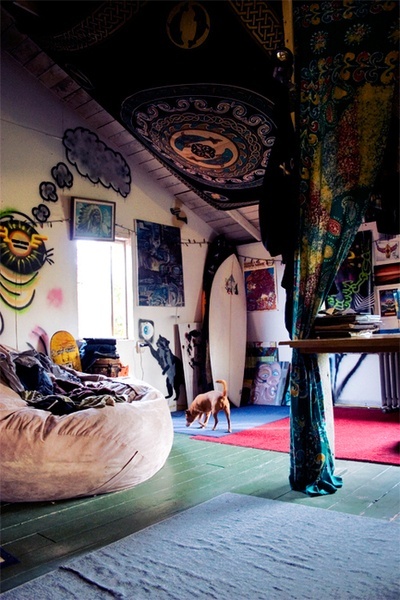 The quirky details like the clouds on the wall and the surfboard in the corner just make it that much better. Perfect for an artist.